Ghanaian Actor and Fashion Designer, Elikem Kumordzi has been caught in a typical case of love triangle. The Big Brother Africa star is in the news again after sharing videos and pictures of his new woman. Peacefmonline.com gathers that Elikem is head over heels in love with a woman who is about twice his age and has even gone ahead to give her a promise ring; an assurance of his undying love for her. 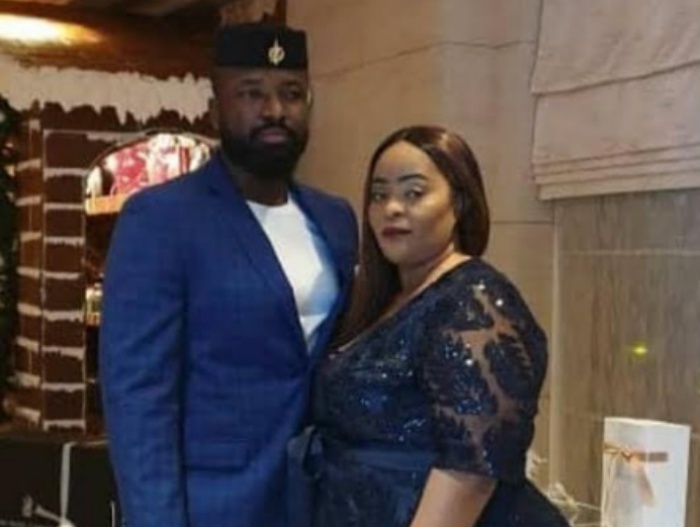 Interestingly, after images of Elikem and his new lover hit the internet, several people have described the actor as a gold-digger because they believe he is in it just for the lady’s wealth. But it appears Elikem is unperturbed by the negative comments. 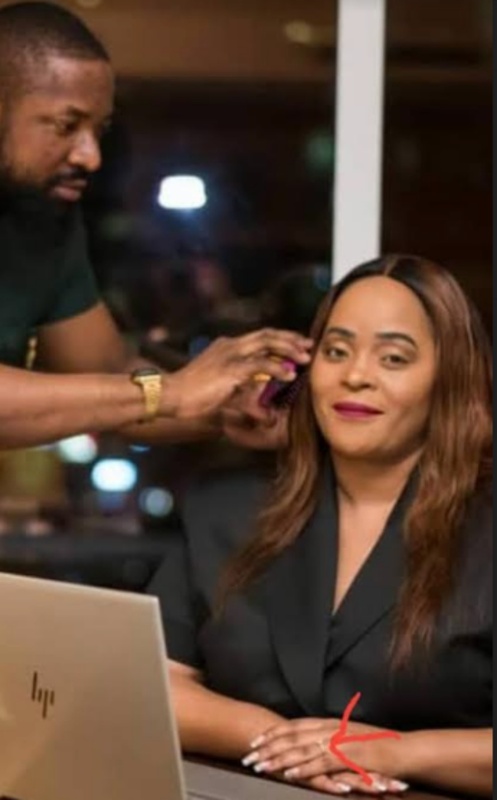 The two are all over each other on social media flaunting their love affair as they spend time together in Dubai and even in Ghana; even while his divorce with Zimbabwean Reality star and Business woman Pokello plays out. Reliable sources told Peacefmonline.com that though Pokello is quietly looking on as Elikem rubs his new lover in her face, she is just patiently awaiting the day Elikem will officially wed his lover, so she can sue for bigamy. This is because, as far as the law is concerned, Elikem and Pokello are still legally married, a close source pointed out. The fashion designer appears to have a soft spot for Zimbabwean ladies as it is gathered his new lover also hails from the southern African country. 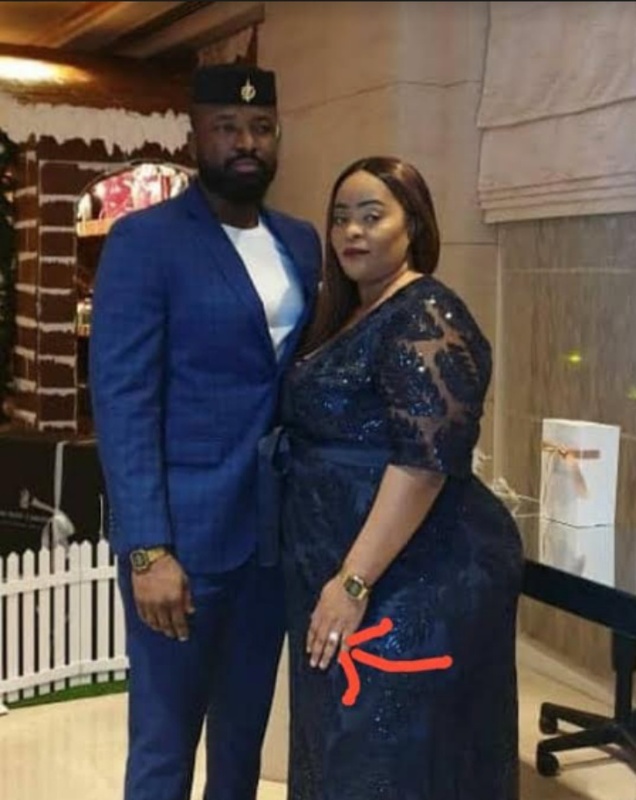 According to a post by realhotgossip page on Instagram,Elikem’s new lover was allegedly once married with 5 kids, but walked out of her marriage in order to be with the Ghanaian Actor. According to the tattling page, Elikem’s entire family including his mother and brothers are all against his new relationship, but it seems all their objections have been rebuffed. Elikem met Pokello during the Big Brother TV reality show in 2013 and they dated for a while until they eventually got married in 2015. The marriage produced a son. The couple are however, currently battling for divorce in a Zimbabwean court. Elikem is reported to have once described his failed marriage to Pokello as a mistake. According to him, he lost affection and love before he declared their relationship “irreparable”. Pokello and Kumordzie were married under the Marriage Act in Harare on September 28, 2015.